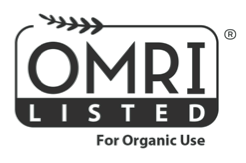 Terra-One CO is now OMRI Listed! Terra-One CO can be used for organic production. The Terra-One CO story starts with improving soil fertility conditions. 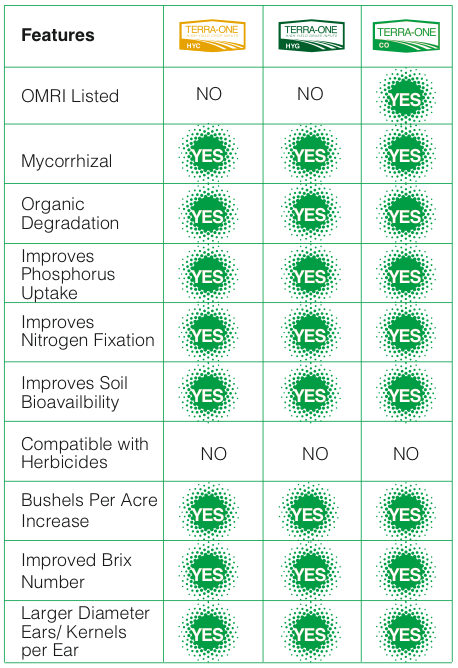 The custom designed blend of concentrated Terra-One CO with mycorrhizal fungi unleashes a robust, yet powerful set of microbials into the soil, over time improving soil fertility. Mycorrhizal fungi increases the surface absorbing area of roots 10 to 1,000 times, thereby greatly improving the ability of the plant to use the soil’s resources. Several miles of fungal filaments can be present in a thimbleful of soil. Mycorrhizal fungi increases nutrient uptake not only by increasing the surface absorbing area of the roots, but also by releasing powerful enzymes into the soil which dissolve hard to capture nutrients, such as phosphorus, iron and other tightly bound soil nutrients. This extraction process is particularly important in plant nutrition. Terra-One CO can be easily applied through most center pivot applications, drip, drench or spray. Terra-One CO is your advantage to improving and maintaining soil fertility, while producing a sustainable, and productive crop. Click here to view the OMRI listing.